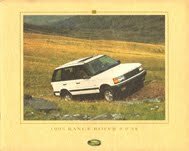 8 1990 Range Rover North America - Tread Lightly! 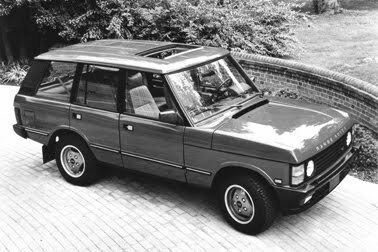 tinted glass, air conditioning and, if ready; automatic transmission, to a base price of $ 5,300.
and production capacity delayed official Range Rover organized import to US to 1987.
could start in 1977 when higher production capacity was planned, but 10 more years should go. 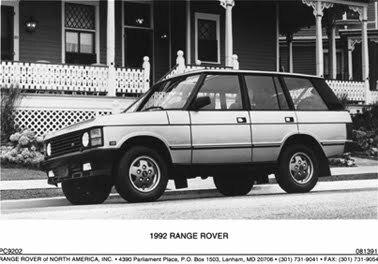 US launch in 1987 there were a steady, but tiny stream of US 'Grey Market' Range Rover imports. 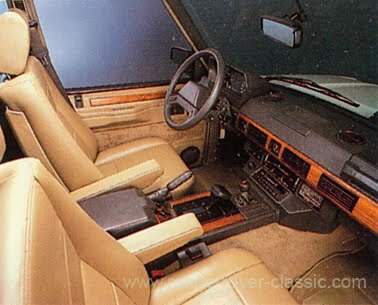 BMW M1 and Lamborghini Countach, sold Range Rover's from 1979 to a price of $29,500. 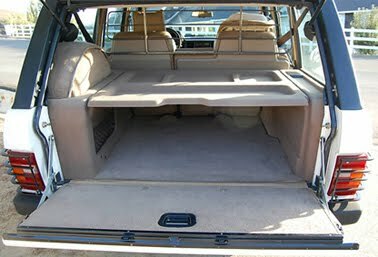 considered as used before import, the process is much lenient and less expensive than if the manufacturer should do the import. output was 10% lower with the catalytic installed. 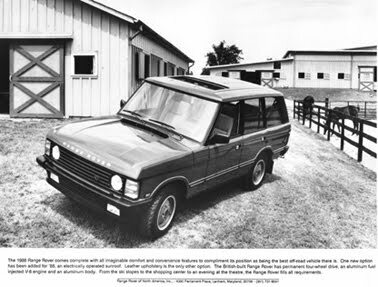 In 1980 ACI hoped to import 50 Range Rover's per year and sold them through dealers in Houston, Texas; Miami, Florida; Chicago, Illinois and Harbor City, California. same locations in Torrance in the beginning of 1980's. 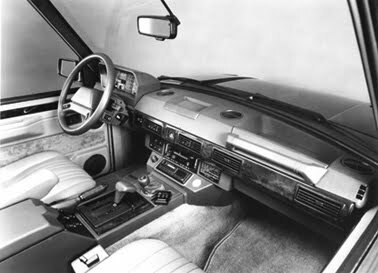 in 1983. 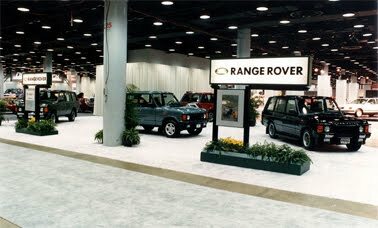 Similar import companies were also located in Florida and Texas. 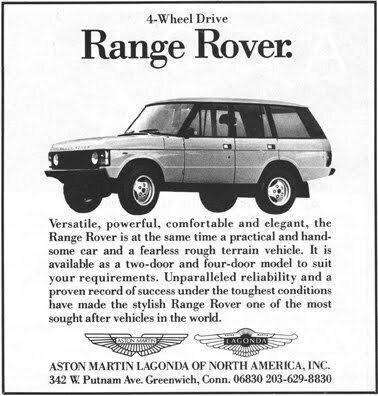 4 door Range Rover's at eastern part of US in 1984. 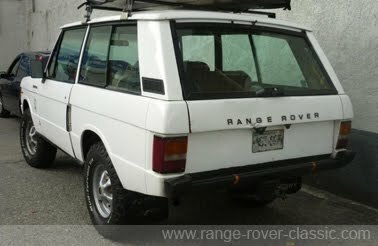 Venezuela and the local Land Rover/Range Rover community is very active. 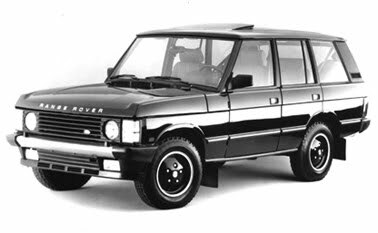 In addition to Venezuela; Costa Rica also had CKD assembly Range Rover production. - Coil spings front and rear. - Brakes with 4 discs. 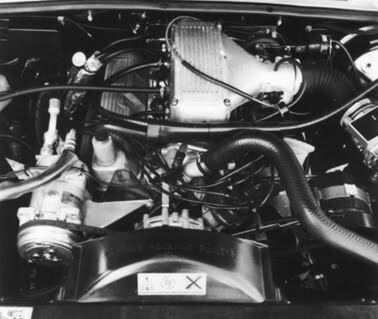 Twin double pistons at front and single double pistons at rear. 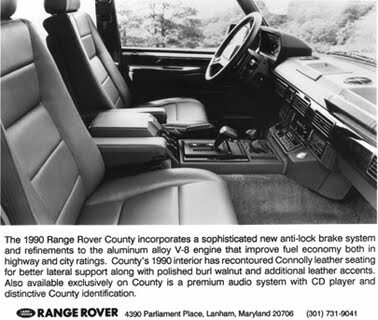 Special "County" badge on tailgate, on radio surround panel and wheel centers. Burl walnut wood trim on fascia, door cappings and console. 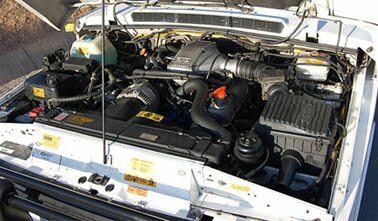 - 4 speed ZF, manual override and kick down, high (1.2058) and low (3.2431) ratio. 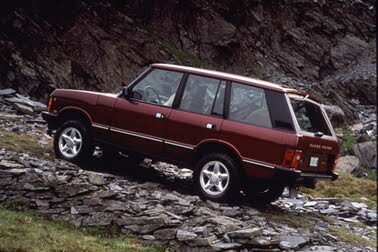 and negotiated perilous mountain passes, at times covering just 60 miles in 10 hours. of the prospectors and early pioneers. 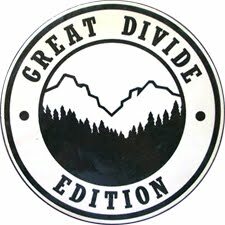 A part of that history is preserved in the commemorative Great Divide Edition. 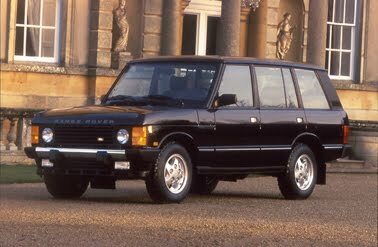 This vehicle is now available to a select few who wish to share in the experience. 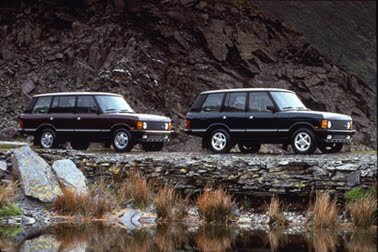 Capturing the true spirit of adventure, the limited production Great Divide Edition Range Rover proudly reflects its breeding and heritage. 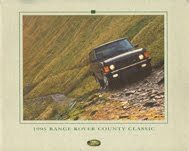 This special edition commemorates Range Rover's historical trek along the Continental Divide, testimony to the legendary exploits of its stablemate, Land Rover. marks its unique identity. 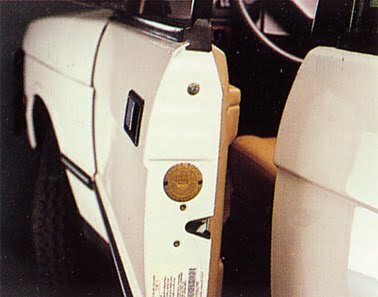 An individually numbered brass door badge confirms exclusivity. 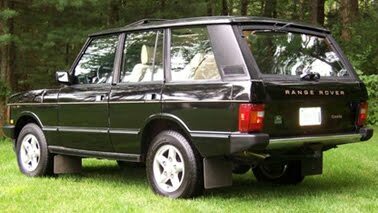 tail lamp protectors designed to safeguard lights, grille and radiator from off-road obstructions. 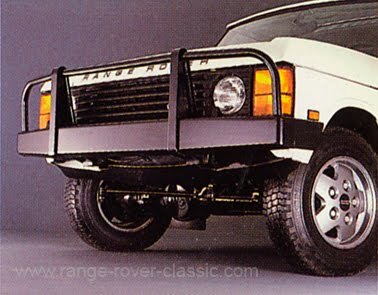 A specially designed front spoiler provides additional approach angle clearance for off-road travel. 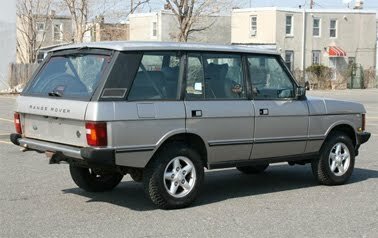 Smoke grey five-spoke alloy wheels afford aesthetic as well as practical value. occupants to experience nature to its fullest. American history is available for a select few to experience. 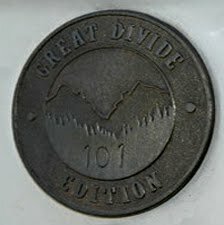 An individually numbered brass door badge confirms the exclusivity of each Great Divide Edition vehicle. 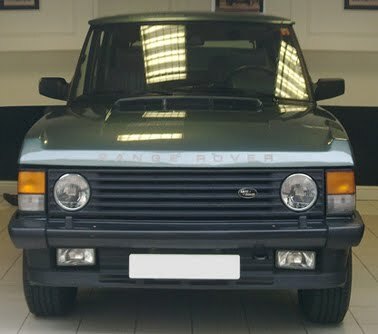 features a specially designed front spoiler. for build up of mud and debris. The Great Divide Edition features polished American walnut appointments and sport-textured Connolly leather seats. A state-of-the-art audio system provides ultimate listening pleasure while the power sunroof opens wide and invites occupants to experience nature at its fullest. 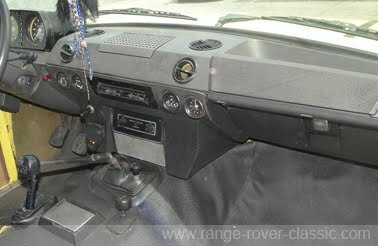 • Premium Audio System Includes Upgraded Speakers and Sub-Woofer with CD Compatibility. 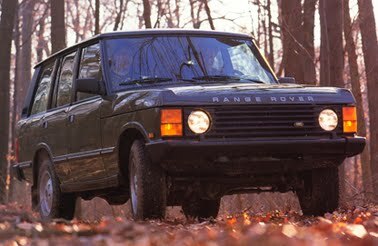 1990 Range Rover North America - Tread Lightly! but also for future generations. This responsibility extends to cultivating an awareness and caring attitude among our customers. of Land Management as an educational program to encourage safe, environmentally responsible off-road vehicle use. Whether you are traversing public or private lands, we urge you to follow our code of ethics and safety suggestions outlined in the following pages. 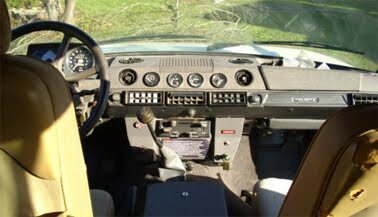 These notes concisely convey what our owner's manual and off-road driving tapes detail. 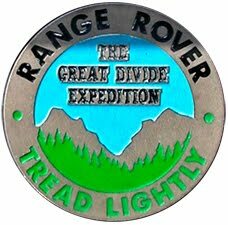 RANGE ROVER URGES YOU TO TREAD LIGHTLY! 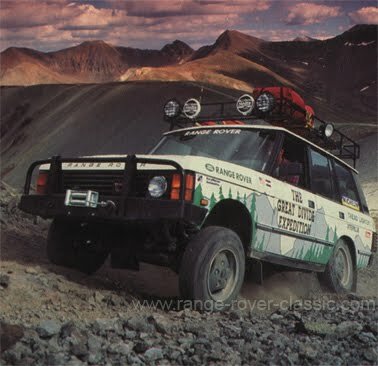 There are currently more than 200,000 miles of off-highway roads open to the public in the United States. 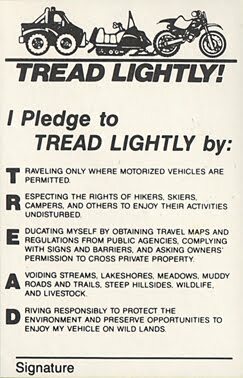 The U.S. Forest Service and the Bureau of Land Management have created an educational program, Tread Lightly!, to urge safe, environmentally responsible use of these trails. the availability of these natural wonders falls to all users. 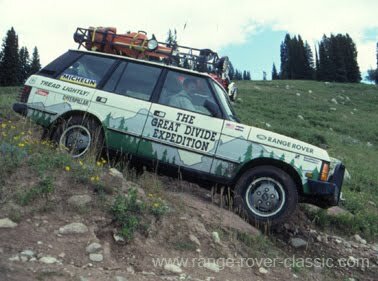 co-sponsoring companies undertook the monumental task of traversing Colorado's Continental Divide. 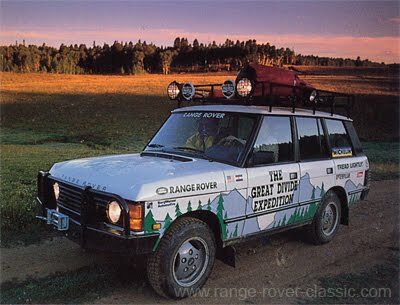 of the Continental Divide, from Wyoming to New Mexico, using only approved forest roads. considerate of the future of our public lands. 1. Know and follow State and Federal laws governing the use of public lands. 4. Respect wildlife. Stop and observe, but never disturb or chase animals. 5. Maintain a clean, unpolluted environment and remove any abandoned debris you may encounter. 6. Be considerate of others' privacy, but offer assistance to those in need. 7. 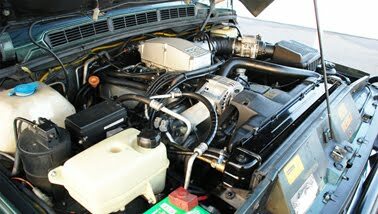 Keep your vehicle in good running condition. 9. Make sure your vehicle's exhaust doesn't create sparks and be aware of potential fire hazards. 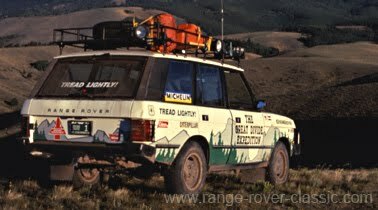 Land Rover is a founding member of Tread Lightly!®—an organization dedicated to increasing public awareness of and encouraging responsible outdoor practices. 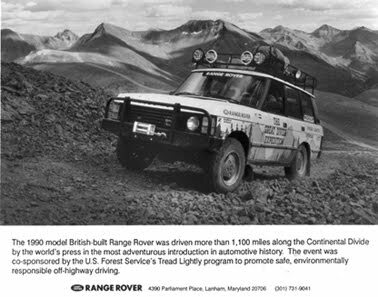 Together, we're helping off-roaders enjoy and respect the environment. with our need to maintain a healthy environment. Tread Lightly! 's educational messages are communicated via guidebooks, quick-tip brochures, a hunting education curriculum, an online awareness course, how-to videos, teaching materials, and a line of children's materials. Lightly! ethic all over the country. by providing much needed resources for backlogged maintenance. - New larger plastic fuel tank. Silver painted alloy wheels. 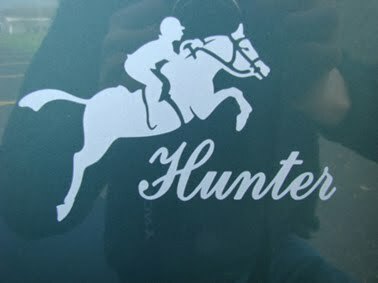 Special Range Rover Hunter badging. 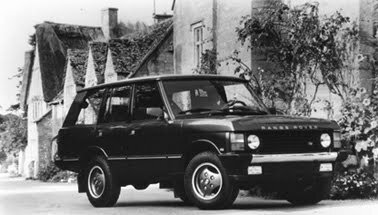 Beluga Black - solid - * "
- Range Rover LSE as "Limited Special Edition"
- 4 speed ZF, manual override and kick-down, high (1.2058), low (3.2431) ratio. 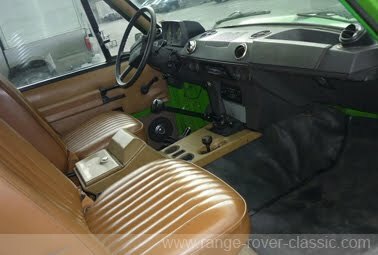 - Range Rover County LSE - "Limited Special Edition"
Chrome bumpers, American walnut, heated seats, auto dimming mirror. Exterior: Cornish Cream or Brooklands Green only available solid colors. 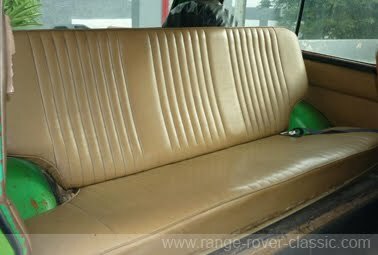 Cream colored "Light Stone" (hence "LSE") seat leather with Sorrell piping. 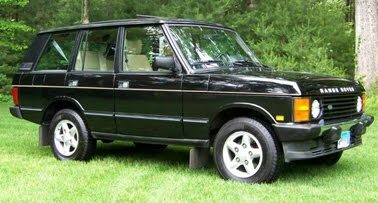 shifted into drive, the vehicle automatically rises to standard ride height. clearance and better approach and departure angles. 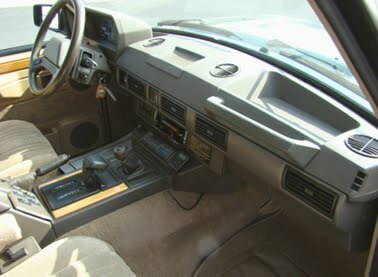 the outside mirrors, for infinitely fine-tuned for personal comfort and convenience. Michelin X M+S 244 - 205x16 all-season steel belted radial tires. 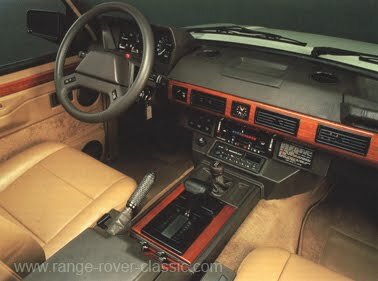 "To celebrate that 25 years ago (from 1995) a revolutionary new vehicle was introduced to the world. 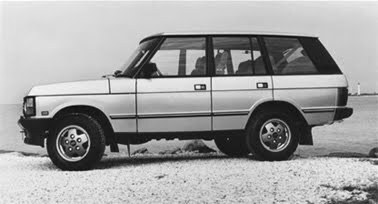 A concept, so individual, so unique, that no vehicle has yet matched its merits. 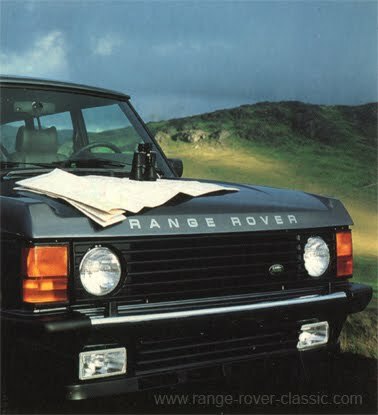 The Land Rover tradition of engineering the most superior off-road vehicle was coupled with the features and comforts demanded by the world's finest luxury sedans. 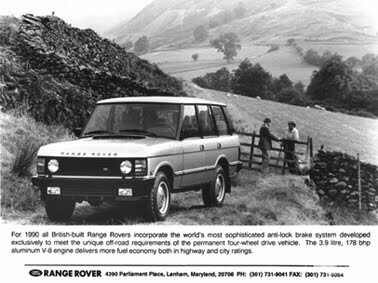 Range Rover was conceived and the world acclaimed it the first, and even today, the only true luxury sport utility. ", says the celebration brochure. 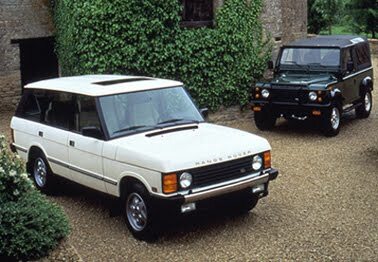 Further on: "In commemoration, 200 Range Rover County LWB 25th Anniversary Editions have been commissioned for an illustrious few." 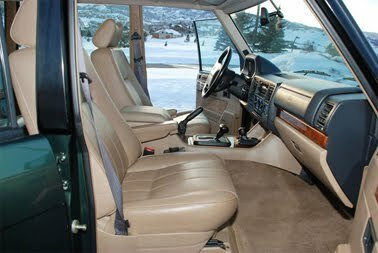 "Distinguished by an Aspen Silver metallic finish, this celebrated vehicle features an Ash Grey Connolly leather interior, detailed with Dark Granite piping. 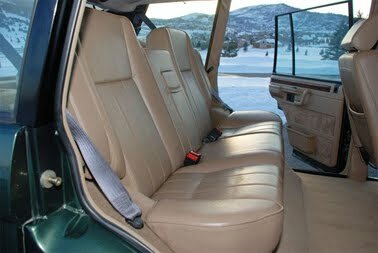 The passenger compartment is complemented by an Ash Grey center console and full pile carpeting throughout, and is further distinguished by an embossed Anniversary Logo in the Connolly hides of the front headrests. 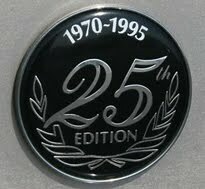 A 25th Anniversary Edition jewel badge marks the tailgate, while TWR sparkle silver five-spoke wheels further accent this esteemed vehicle." 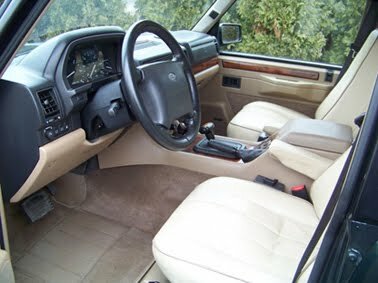 brake system incorporating electronic traction control operating on rear wheels. Ventilated brake discs on front wheels. 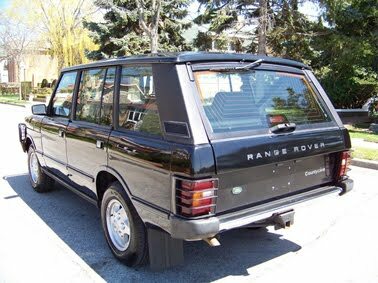 Solid on rear discs. the "down" button. Lower the vehicle by 2.4 inches/60 mm. off-road conditions. 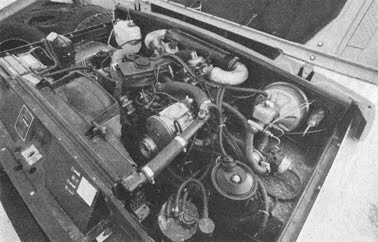 Raise the vehicle with 1.6 inches/40 mm. Maximum water deep is nearly 22 inches capability. handling and aerodynamic efficiency, dropping 3/4 inch/20 mm. 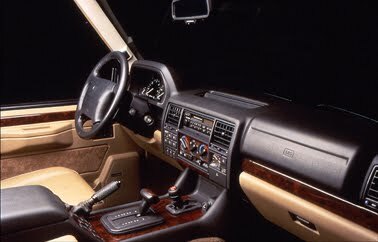 the system automatically lowers the wheels to provide necessary traction. 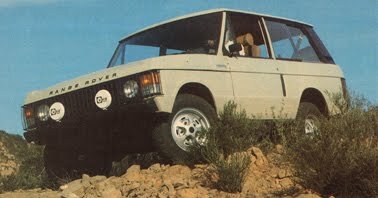 from standard height to gain traction if the vehicle is high centered off-road. three seconds when speed exceeds 35 mph. 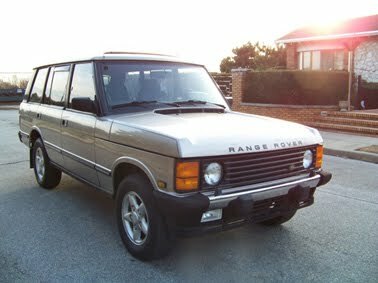 - Level sensors at all four wheels and anti sway bars front (25 mm) and rear (18.5 mm). 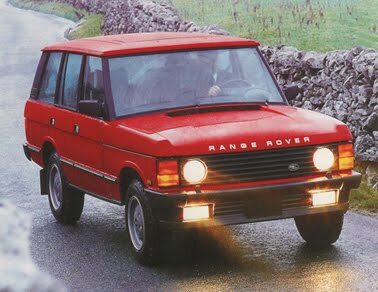 improves its outstanding performance in the most severe off-road conditions.